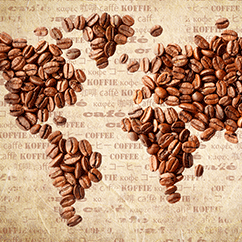 Did you know that on an average day, Americans consume approximately 400 million cups of coffee! Whoa, bananas! That’s about $4 billion dollars worth of caffeine every year. That’s a lot of coffee, but even more coffee grounds. So, what do we do with all those leftovers? Wouldn’t it be nice if coffee grounds had other purposes? As avid coffee lovers here at Grumpy Goat, we got news for you! We’ve got 5 great hacks to help you start utilizing your used coffee grounds to their fullest advantage. Before they can be effective deodorizers, the coffee grounds need to be dried. This can be done by spreading them out on a plate, pan, or cookie sheet—whatever is most convenient. Place them in the fridge, freezer, or outside during the daytime for some natural sunlight exposure. Once the coffee grounds have been dried, they are ready for use! Roll them up into a ball of fabric to make your very own DIY deodorizer that smells like a yummy cup of your favorite coffee. Coffee is rich in antioxidants, which works well on the outside of the body just as much as it does on the inside. Putting coffee grounds on your face will awaken your skin in the morning, so you have a luminous glow all day—perfect for looking alert for a job interview or first date. The small rough pellets also serve as a natural exfoliant which gets rid of dead skin cells. Coffee grounds operate as a natural stain for wood. You’ll need a storable container, preferably glass, and with a lid. Mason jars are great options for easy storing. Mix together about a half a cup of coffee grounds with distilled vinegar. Place the mixture into a storable glass container, and let the mixture sit overnight. Presto! You’re ready to stain. You can choose to strain the coffee grounds out of the container, though it’s not necessary. To apply you can use rags or a steel wool pad. If you’re trying to cover a smaller area, q-tips are ideal for precise spots or scratches. The best part about this hack is that you can be creative. If you don’t like the shade you’ve created, add water to dilute the solution to a lighter shade or mix in more coffee grounds for a darker shade. Just remember to let the solution sit so the added grounds have time to truly soak in the vinegar. Usually, it’ll take a few coats to get a nice, deep coffee shade; however, coats are unlimited, so stain away! This natural stain will prevent you from having to endure the powerful stench of chemical-based wood stains. You’ll be keeping your house and family safe from harsh chemicals. Fleas are a problem throughout Southwest Florida. Beyond carrying disease, they are also annoying, hard-to-see creatures that seem impossible to get rid of. Store-bought flea gels, pills, sprays, and shampoos can be riddled with unfamiliar, harsh chemicals. Some flea tablets have caused significant side effects in small dogs like vomiting, depression, and even seizures. Reading labels for any kind of medication or prescription [dosage in grams, time, and whether to take with a full meal] is crucial for your pet’s safety. A natural alternative for flea repellent is coffee grounds. Bathe your pet with their normal shampoo. Once, you’ve bathed your pet, cover them profusely in coffee grounds, and gently rub the grounds into their coat. The grounds will kill the fleas, and your pet’s coat will be sparkling like the top of the Chrysler building! Your leftover coffee grounds are food sources for your plants! Use the grounds as a natural fertilizer or compost. This remedy is sure to keep your luscious garden on a full tummy and improve the likelihood of your flowers blooming beautifully this spring. The average pH acidity of coffee grounds is around 6.5 which falls near the neutral line on the pH scale. Depending on the plant, coffee grounds serve as a rich feed that produces the right amount of nutrients for the growth and nutrition of your flower beds. Grumpy Goat wants you to enjoy your gardening experience this spring. 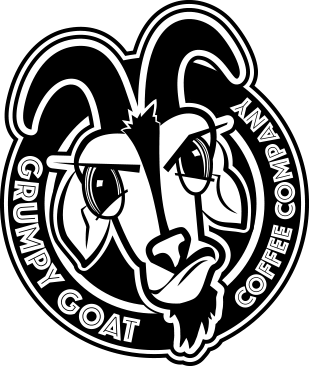 Why not become the next coffee ground guru with our Grumpy Goat roasts! Not only will you stray away from icky chemicals, you’ll be saving mad money. Come along, let’s get gardening!